A southern food truck & catering company driven by locally sourced ingredients & timeless family recipes. 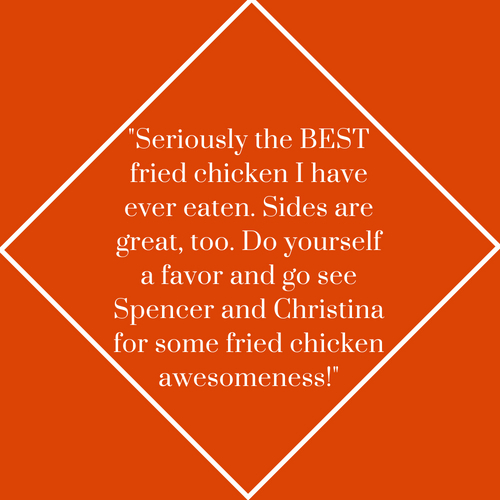 With a deep love and appreciation for food, founder Spencer Upchurch opened Fried Chicken Kitchen in April 2018. A native of Saint Augustine, Spencer is determined to provide authentic southern food made from scratch with fresh ingredients. We would love to hear what you think. Click the buttons below to write us a review! Sign up to receive weekly schedule notifications and Fried Chicken Kitchen updates.